This may sound odd, but as someone who has grown to love the Blackberry Playbook, I can’t help but get excited at the video we have for you below. 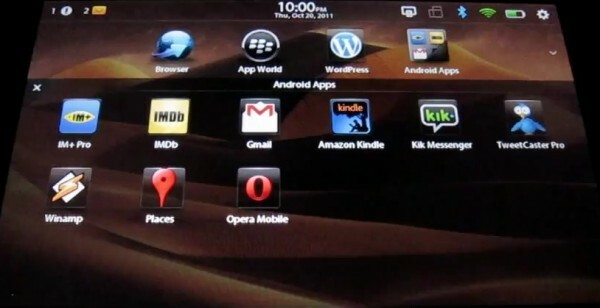 A German Blackberry-specific site posted up a brief walk-through of the Playbook’s new BBX 2.0 OS that happens to have Android apps up and fully working. During their hands-on time, you get see how seamlessly these apps that have been ported over, work. The Kindle, WordPress, TweetCaster and IMDB apps all fire up without much hesitation. The future of this tablet could be bright after all. We Knew the Galaxy Nexus Would Have a PenTile Screen, Why All of the Fuss Today?